Krakowski Błonia is a large triangular park set against the banks of the Rudawa River in the western part of the city. Combined with neighboring Park Jordana, you can get in a solid 3.5 miles along the park’s perimeter. 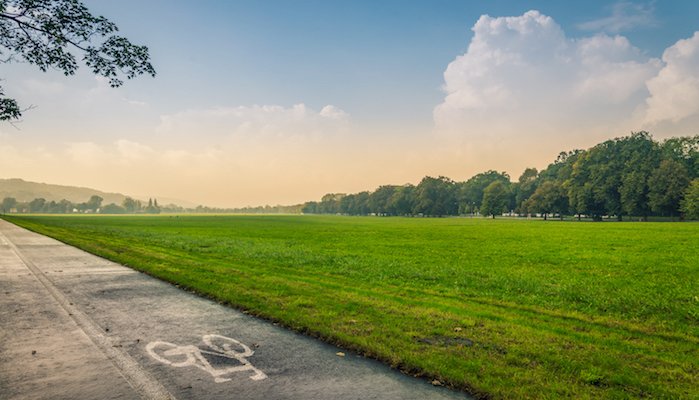 You can add in mileage by criss-crossing the dirt paths through the center of the park, but the paved route around the edges is your best bet for reliable conditions in this sprawling grassy space. Combine it with the Vistula River run or the trails in the neighboring Wolski Forest for even more miles. Note: Blonia is also home to a Krakow Parkrun (a free group 5k held every Saturday morning). You can learn more here.